Handbags + Handguns: If loving YA novels is wrong, I don't want to be right! I don't want to be right! Ever since Stephenie Meyer wrote Twilight, I find myself getting lost in more and more young adult novels. I especially love a good young adult series. But what makes a book fall into the young adult category? If I'm in my thirties and enjoy them immensely, what does that say about me? According to Wikipedia, recent studies show that 55% of young adult novels are purchased by readers over the age of eighteen. So, I'm definitely not alone in my reading habits. And, if I'm being honest, I really don't care if people think I'm silly for reading books about teens and young adults. When I'm reading, I want to step away from my own life for a bit and think about something else. I love romance. I love cheesy. I love over-the-top ridiculousness. I love vampires, dystopian futures and love triangles. I also love happy endings. Thankfully, there's an abundance of books just like this to keep me entertained. Aside from the obvious Harry Potter, Twilight and Hunger Games series, here are some more of my favorites. 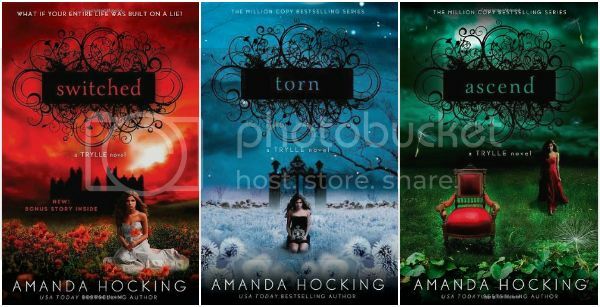 *I love Amanda Hocking's books. They're such quick and easy entertaining reads. I always get attached to her characters. **You'll notice that the Divergent series isn't on the list. I've only had time to read the first one. I'll post an update once I'm done. 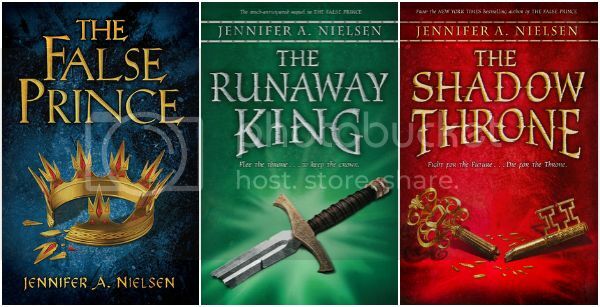 So, what young adult series do you think I should read? I've never read any of these but I'm totally on board with Harry Potter and the Hunger Games! I haven't even heard of most of these. I like some YA. I read a big mix of things. Lots of different genres, lots of different age levels. If you could only pick one of these series to recommend, which would it be? I got an i pad so I was looking for free books on amazon and half the ones I liked were YA!! 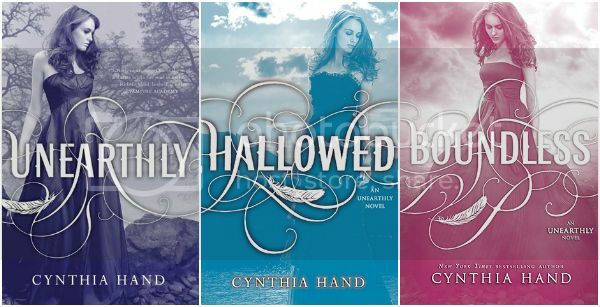 I've read the Trylle trilogy... Really liked them! I definitely read my fair share of YA. I love John Green and Rainbow Rowell. I usually avoid sci-fi/fantasy stuff, except for Harry Potter, Twilight and Hunger Games. Haha! I still have Miss Peregrine's on my nightstand. Oh, and I've heard good things about The Uglies series, but haven't really checked into it yet. I think what it says is that you STILL have an active imagination even in your 30's which is awesome and it takes more than 50 Shades of Grey to make you feel like you've read something awesome. I also think as adults we don't get enough time to enter a fantasy world. Regardless of what that world is or who is there or what's happening. I think that reading these books taps into your creativity and need to have a bit of an escape from the day to day life of being a mom, a wife, a worker and a grown woman. Who doesn't want to read about kids fighting to the death in an arena and fashion and food all together, am I right? And besides a lot of times you're able to blow through these books and feel great about it. It's like a guilty pleasure which no one should feel guilty for, they're reading. I'm obsessed with Biographies. But only celebrity ones. I like a good book that pulls me in, regardless of what age group it's made for. I thought about reading Percy Jackson just so I could understand what my 10 year old Sister in Law is talking about, constantly!!!! I am all about the young adult books. I don't want anything too serious when I read. However, I just got through reading A Discovery of Witches and Shadow of Night by Deborah Harkness and I LOVED them. Girl, I'm all about YA series too - thanks for shining the light on a few new potentials for me to look into! I'd recommend the Mortal Instruments series (or the Infernal Devices series if you like steampunk) and the Beautiful Creatures series. I'm late on this, but I'm getting into the Beautiful Creatures series. I'd recommend the Divergent series but I think you've already read it. Plus the last book makes me wish it were never written, grr. I am marking all of these as to read on my good reads page! Thanks! ps I just saw your post that you have only finished the first book in the Divergent series. I hope I didn't ruin anything for you. I'd love to hear your review when you've finished the series. i've been loving YA novels lately too - will have to look into some of your recommendations soon! I bookmarked this post months ago to follow on my reading list. When I was looking for another book series to read, I saw your request for recommendations. I loved the Kiera Cass series, The Selection, The Elite, and The One. I just read there will be a new book out next spring! It's like a cross of the Bachelor and the Hunger Games.